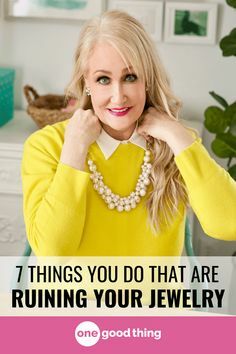 Sometimes you can change the whole look of an outfit by changing the accessories and this can sometimes feel like you are wearing a whole new outfit when you may only have changed something simple. So, in this blog I am going to give you some ideas on how to update your wardrobe with some new spring accessories. When did you last update your make-up bag? We all get into a rut sometimes and wear the same lipstick every day, why not treat yourself to a new one in a different colour to what you usually wear. As many of you know, I am not a designer girl with my clothes or make up and my go to shop is Number 7 at boots. Why? because I think it is middle of the road in price and a good quality and you also get the advice on colours that suit your skin. Make-up does have a shelf life so if it been in your make-up for some time it might be time to renew, so invest in a new colour to complement some of the new items in your wardrobe. The same also goes for nail polish too. Update your Spring wardrobe with some new accessories. Are you due a new hand bag? It’s time to put away your winter handbags and pick a nice bright coloured one for the Spring. I don’t usually spend that much money on my summer bags so I can have several in different colours, I find that leather bags can be heavy before you put anything into them. This one I found in Oasis at £28 and it also comes in a natural colour if you don’t like the burnt orange. It’s just a bit of fun and an ideal bag for your holidays which can be worn over your shoulder. In fact, I had not thought to look in Oasis for a hand bag as I usually go to TKMaxx but they did have a very good selection on line. A girl can never have too many hand bags!! If you like one of the seasons colours yellow, take a look at this mini across the body bag I found in Dorothy Perkins. It has a nice tassel detail on the front and retails at just £16.00. Yellow or Mustard are not colour’s that everyone can wear, in fact cool skin toned ladies would not look their best with this colour next to their skin. However, you could get away with wearing this bag away from your face if you particularly if you liked the colour. 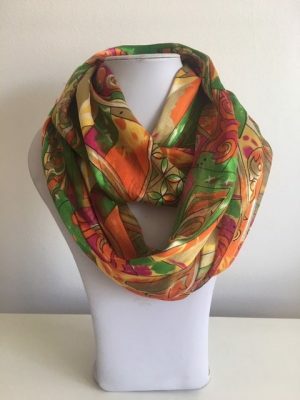 Are you a lady who loves to wear scarves? If so, you need to come and see me as I have oodles of lovely scarves in every colour you can image. I have also just taken delivery of the lovely magnetic scarves that I had before which you don’t need to tie, they just clip together. These I have in lots of different colours and I am selling at just £13.00. These too come in a huge range of colours and one to suit any skin tone. If you are interested, please do get in touch. You may prefer a statement necklace or bracelet? If you love bangles at this time of year there are loads around to choose from in all the lovely bright colours for the summer. I have very small wrists so for my I prefer to go for the elasticated ones, but we are spoilt for now.The necklace, long or short there is loads about in an array of many colours. Do your homework and have a look round but you are bound to find something you like. 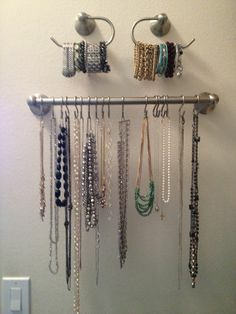 My challenge to you – Go out and have a look for a couple of new accessories that you can add to your wardrobe to update some outfits that you already wear. Please let me know what you choose and what impact they have and let me share to help others. If you have photos too that would be good.